Width: 737 mm / 29.0 in. Height: 1110 mm / 43.7 in. Ground Clearance 120 mm / 4.7in. 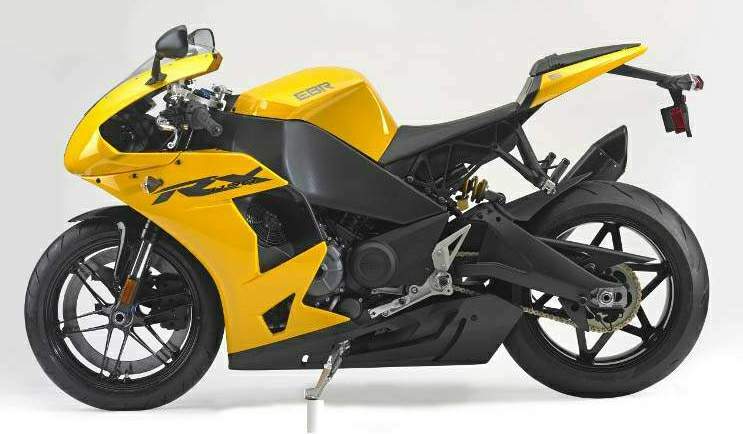 Erik Buell Racing (EBR) have just unveiled their new sportsbike, the 1190RX. 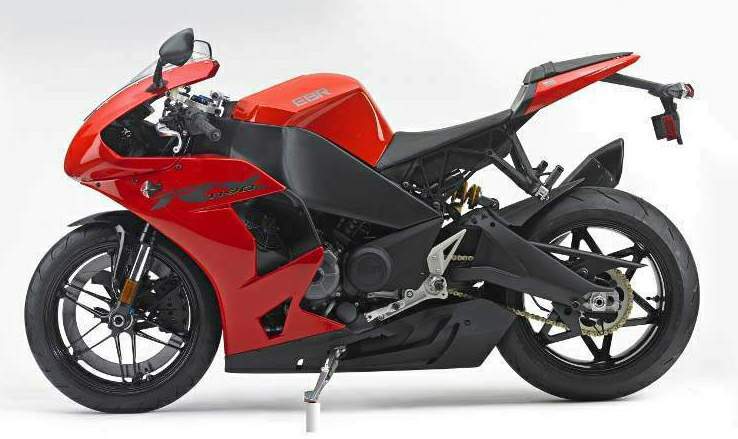 The bike is, according to EBR, “A direct descendant of EBR’s race-bred limited edition 1190RS superbike.” Indeed, the 1190RX shares its liquid-cooled, fuel-injected 1190cc V-twin with the 1190RS and packs the same (and very impressive…) 185 horsepower and 138Nm of torque. “This is the culmination of decades of dedication, innovation and teamwork. We have been working to create a pure rider’s machine and a true world brand. 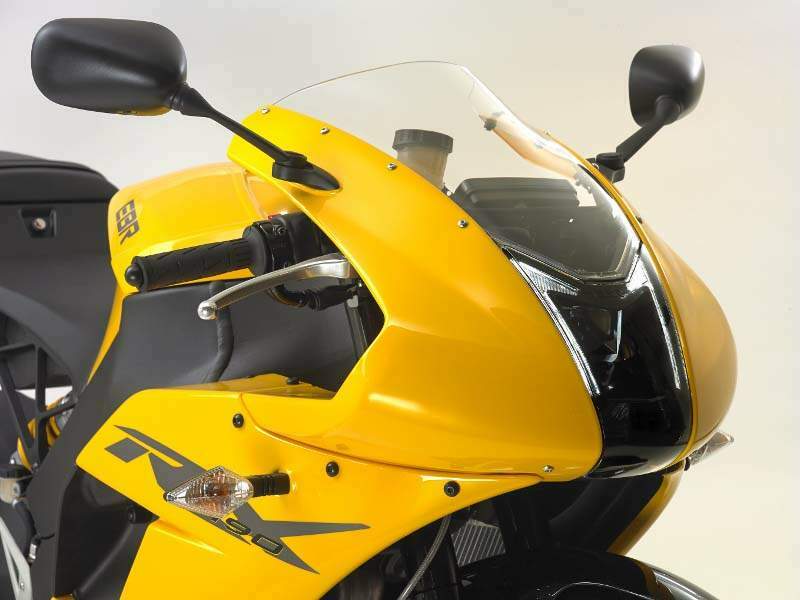 From the heartland and the heart of America, these are extraordinary motorcycles that discerning riders everywhere will be passionate to own,” says EBR founder, Erik Buell. 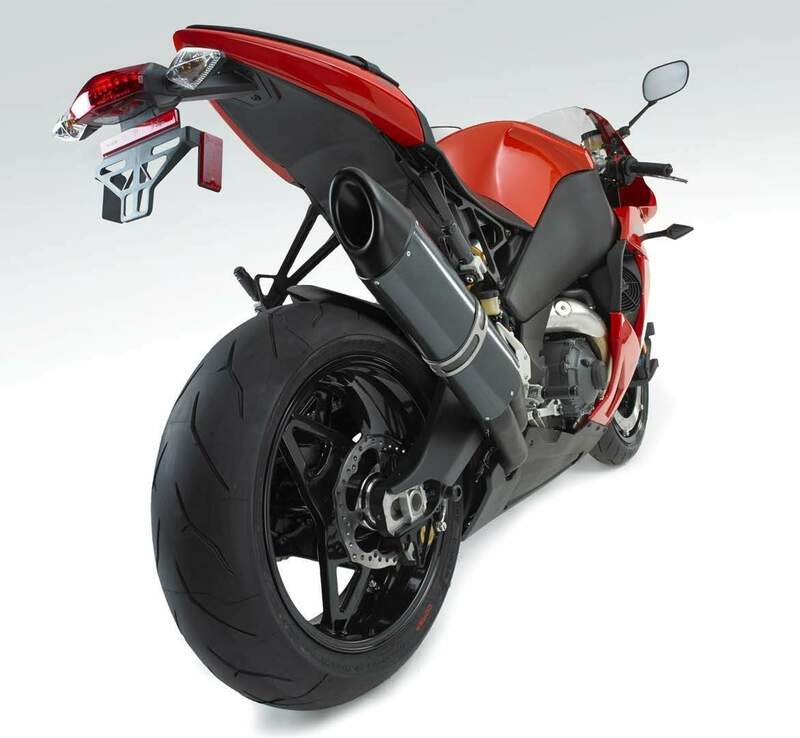 The new EBR 1190RS rides on 17-inch alloy wheels, shod with 120/70 (front) and 190/55 (rear) Pirelli Diablo Rosso Corsa tyres. 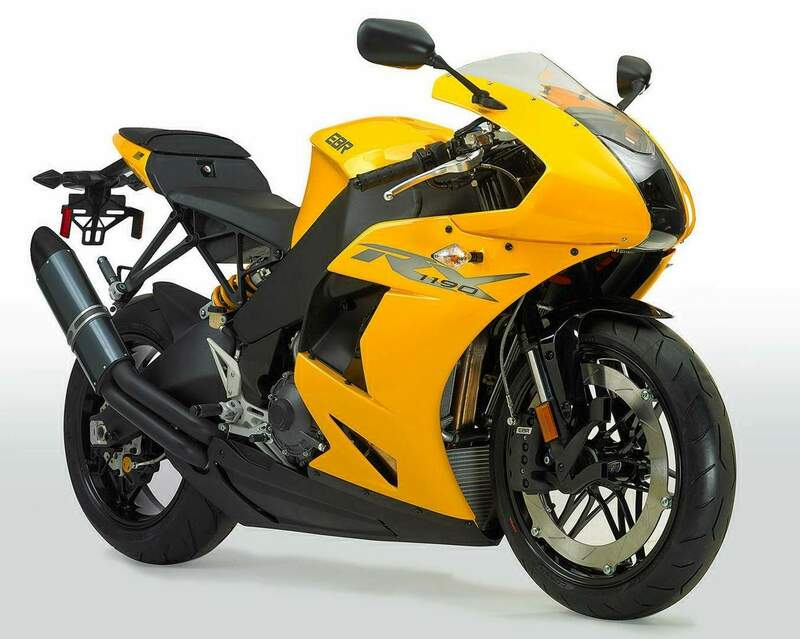 The chassis and swingarm are made of light, stiff aluminium and the bike weighs 190kg without fuel. High-spec Showa suspension components are used here – USD big piston forks at the front and adjustable monoshock at the back. 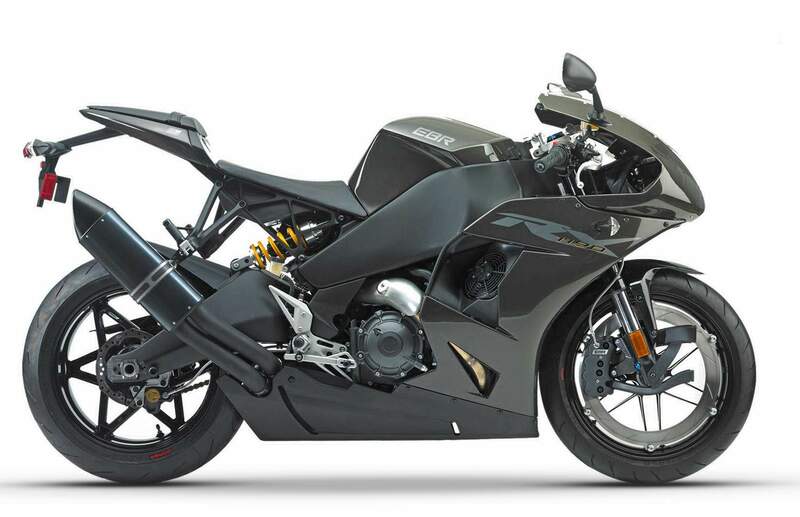 As with earlier Buell motorcycles, the front brake is ‘perimeter’ type, with a single 386mm disc and 8-piston caliper. A 220mm disc with twin-piston caliper handles stopping duties at the back.